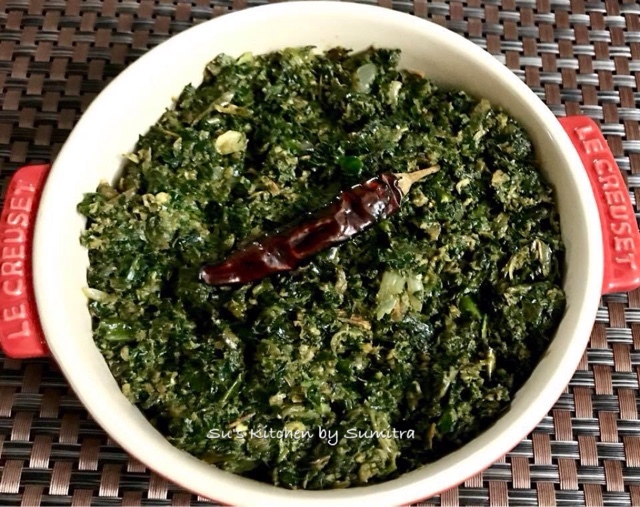 Su's Kitchen by Sumitra : Chingri Macher Matha diye Kochu Saag Batta..
Chingri Macher Matha diye Kochu Saag Batta.. I love traditional dishes. Many of the authentic dishes or traditional home recipes are not available in any restaurants. It’s when some one personally shares them, we get to know. 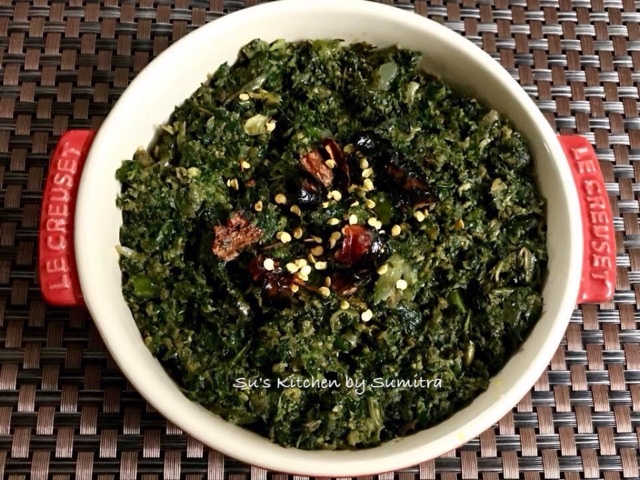 These recipes are not showy but one must taste them to experience it. 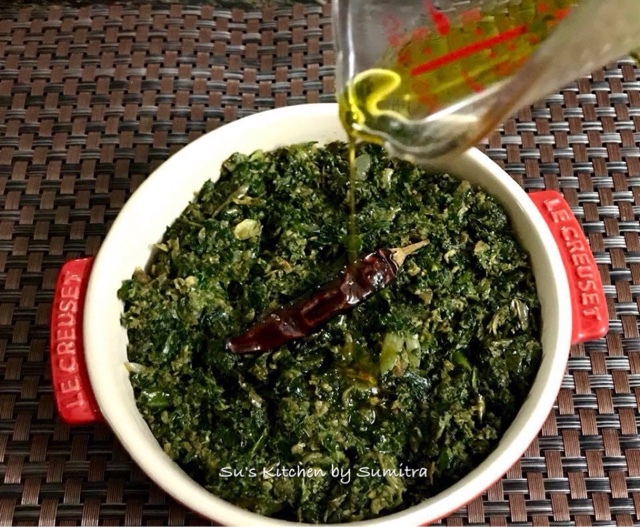 Recently my love for these kind of traditional simple home cooked recipes have got more rooted in me.. 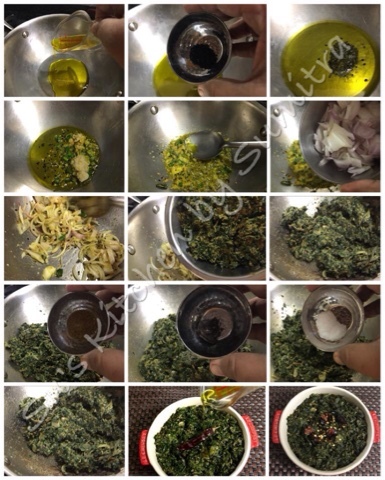 This is one such recipe I am going to share with you which is my recipe connecting to my roots. 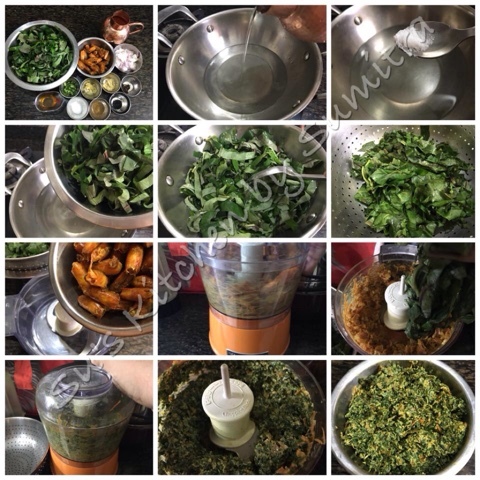 500 grams Prawn head after cleaning the prawns..
1 roasted dry whole chilli for garnishing..
P. S. You can add 2 tbsp fresh coconut paste at the end after you add salt and mix it. The coconut flavour will enhance the taste of the fish.